Most of the Indian conflict vulnerable borders are surrounded by the mountains.There is a very high probability of conflict in those high altitude areas.This anticipation was enforced by Pakistani infiltration during Kargil war in which many soldiers martyred because of non-availability of a suitable combat helicopter for high altitude.Indian air force heavy attack helicopters were not able to fight in those high altitude areas neither attack aircraft.These things lead to a need for a combat platform which can fight in extreme high altitude, that is why the light combat helicopter development program born.HAL started a development program to use the technology available that in its advanced light helicopter and use that platform for further evolve into a light combat helicopter that can really be effective at high altitude. 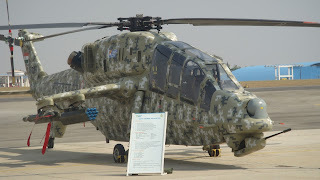 Hal RWR&DC started developing light combat helicopter in 2006 and IOC is anticipated in 2016.LCH is being developed as a narrow fuselage tandem seat configuration.LCH consist of a fully digital glass cockpit in which pilot occupies the front seat and rear seat is for weapon system operator.pilot itself operate the gun turret with the help of helmet mounted sight.LCH avionics contains multifunction lcd displays, radar warning receivers, laser warning receiver and maws system.MAWS system is being provided by SAAB of South africa. 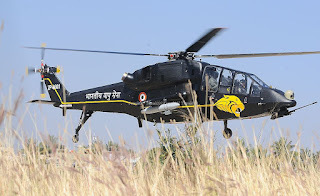 It also has countermeasure (FLIR) and electro-optical sight and targeting for fire control and are synched with helmet mounted display.with the help of helmet mounted display pilot can engage any target by just merely looking on it.LCH is equipped with data link for net-centric warfare which increases its combat effectiveness in multi-folds by sending and getting information with air platform and ground-based platforms.LCH is powered by two Shakti turboshaft engine which produces 1067 kW power individually.Shakti engine is designed and produced by Turbomeca and HAL jointly, it is also known as Ardiden 1h.Shakti engine allows LCH to operate at an altitude of 6500m with full combat load.Shakti engine also features full authority digital engine control which increases the reliability of the engine. 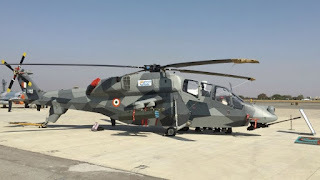 LCH will be heavily armed with the various type of weapons those will include anti-tank missile, gun mount and air to air missile etc.LCH has four wing station for weapons. 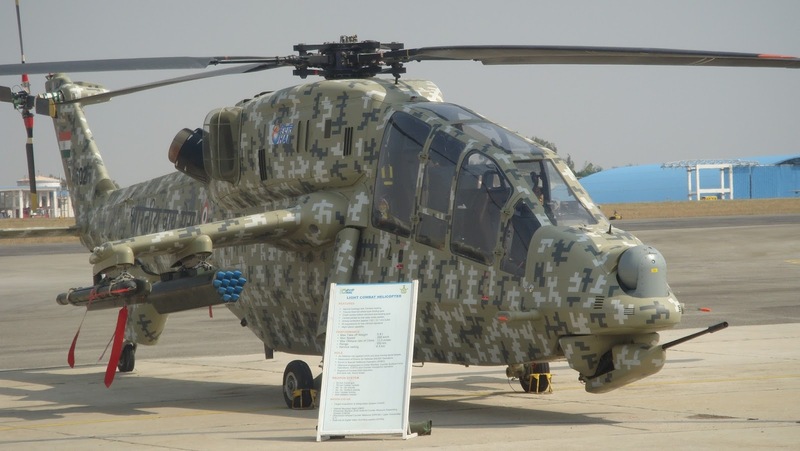 It has been confirmed that DRDO developed HELINA anti-tank missile will be used for its primary anti-tank weapon.HELINA will be integrated with a dual packed launcher.HELINA is the helicopter launch version of the Nag missile.It features a high resolution imaging infrared (IIR) seeker and effectively work in the high-temperature zones also.It has two modes of firing LOBL(lock on before launch) and LOAL( lock on after launch).IT has a range of 8 km which will provide a good standoff distance from the MANPADS which are the worst nightmare for any low flying aircraft.LCH will be armed with mistral air to air heat seeking missile and has a range of 6 km and will be primary air to air weapon for LCH. Offensive employment in urban warfare, CSFO (Counter Surface Force Operations) and CI (Counter Insurgency) operation. 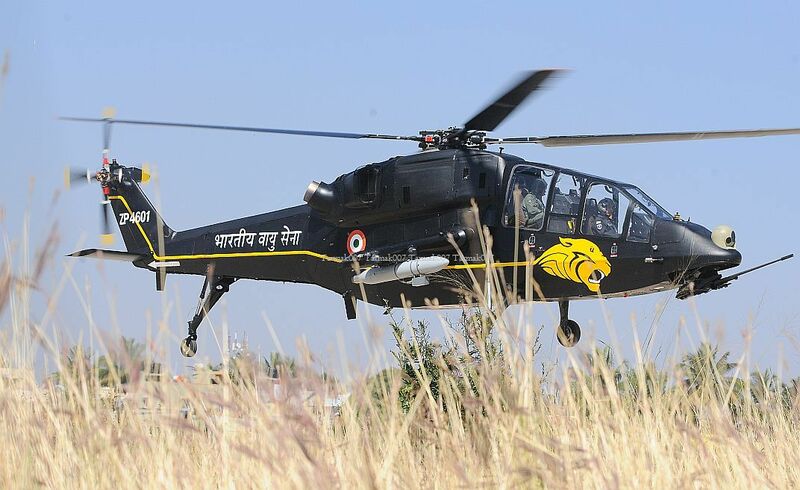 TD1 is the first prototype of LCH and is not weaponised.TD1 made its maiden flight in 2010.It has been extensively used for flight testing.Success of the TD1 lead to the evolution of TD2. 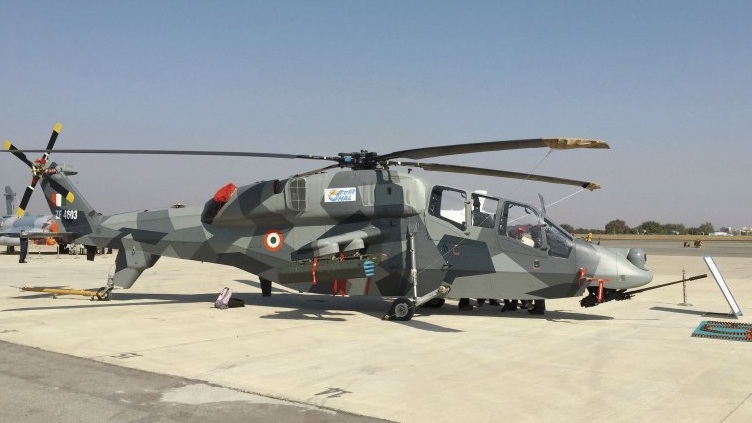 TD2 is the second prototype featuring a substantial weight reduction made its first flight in 2011 and previously it was shown in Aero India 2011 with its weapon station loaded with rocket pod and four helina anti-tank missile in a digital camouflage. 3.TD3 td3 made its first flight in 2014 and has a better-protected cockpit against ground fire and also have some improvement which were desired by Indian air force and Indian army.IT has recently completed high-altitude hot weather tail and set a record for the combat helicopter to land on high altitude forward base.A total of 65 and 114 LCH is on order for Indian air force and army.IT is revealed by Hal that LCH will be series produced from 2017.